Ethan Reichenbach has been demoted from lead of the Presidential protection detail in the Secret Service to the Des Moines, Iowa office. Instead of leading a team sworn to protect the President at all cost, he now is tracking counterfeiters. To make matters worse, his supervisor in no way wants the President’s boyfriend working in his office. He tells Ethan to stay away from the press and to turn his cases over to another agent when evidence materializes. His only salvation is his nightly video chats with Jack Spiers and his weekend trips to Washington to spend time with him. However, as Jack is the President, those weekends are not always consistent. Jack is trying to enjoy his first Christmas in the White House but things seem to keep getting in the way. Between international conferences to the rising problem of the Islamic Caliphate in the Middle East, it seems like he has no time to spend with Ethan. Jack is also unhappy about Ethan’s situation in Des Moines, where he is pushed aside for agents who weren’t even in high school when Ethan joined the Service fifteen years ago. Add in the tabloid press who basically have Jack and Ethan breaking up or making up depending on whether or not Ethan flies to Washington any given weekend just adds to the stress. Jack counts the days until the two can be reunited. I enjoyed this tale of Jack and Ethan as they prepare for their first Christmas together as a couple. It was interesting to see the side of the Secret Service that most Americans forget that they are in charge of—catching counterfeiters. Ethan’s demotion is made worse by a boss who thinks that Ethan will contaminate any case in which he is prominently involved in. The only saving grace in Des Moines is a new agent who at first grudgingly partners with him but comes to an understanding that seems to help with the case they are working on together. Along the way, Jack and Ethan must develop some sort of protocol for the various White House functions that come at Christmas time and deal with world problems at the same time. This book nicely expands on the time that was covered briefly at the end of Enemies of the State. The cover art by Natasha Snow is perfect for the book. The cover has the White House in a wintery scene surrounded by snow. 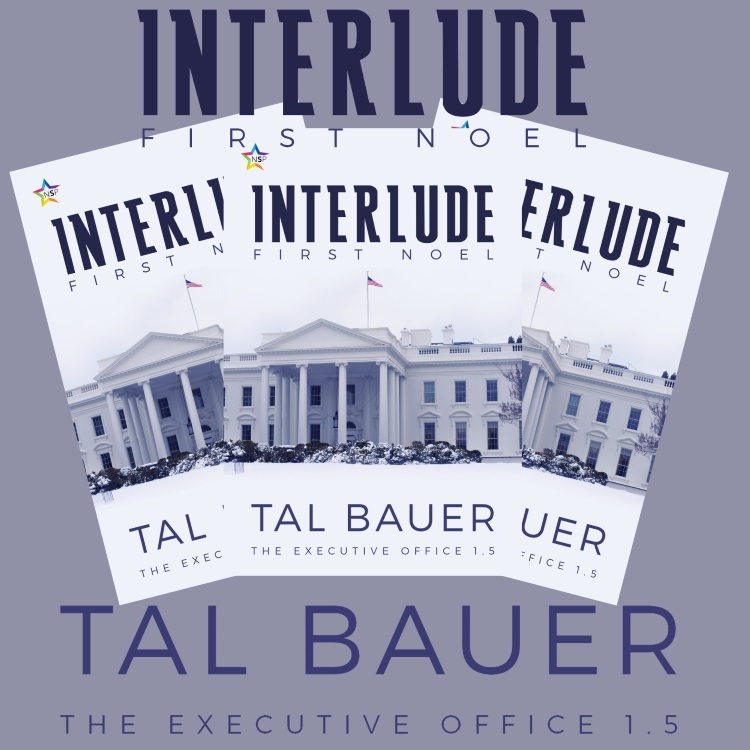 This entry was posted in Book Reviews, Books, Contemporary fiction, eBooks, LGBTQ Book Reviews, M/M Book Reviews, M/M Contemporary Fiction, M/M Fiction, m/m holiday stories, M/M Romance and tagged A Paul B Highly Rated story and series, A Paul B Review: Interlude: First Noel (The Executive Office #1.5) by Tal Bauer, author Tal Bauer, Interlude: First Noel (The Executive Office #1.5) by Tal Bauer, NineStar Press, The Executive Office series by Tal Bauer. Jack and Ethan share their first Christmas together. Step back to Jack and Ethan’s first Christmas season and the tentative early months of their relationship under the world’s spotlight. Three months into Ethan’s transfer-in-exile in Des Moines, Iowa, the pressures of dating Jack, the president of the United States, start to wear Ethan down. His weeks are measured by the days he works in Iowa, chasing counterfeiters and financial crimes, and the weekends he manages to steal with Jack back in DC. The media stalks his every move, he’s isolated by his coworkers, and loneliness hammers at his heart. In DC, Jack tries to piece together a global alliance to take down the Caliphate, while the world seems focused on tearing apart his personal life. Hostility surrounds him from all corners of the globe, but a surprise offer from President Sergey Puchkov may pave the way for a tentative alliance…and perhaps the beginning of a friendship. As Ethan finds himself in the middle of an investigation that rubs too deeply against his soul and Jack tries to balance leading the free world and keeping his and Ethan’s relationship going, the two men must face what their love has become…and where they are heading together. Interlude: First Noel is more than a Christmas short; it’s three stories in one. We get Ethan’s story in Des Moines. How his life as a Secret Service agent changed and the case he’s taking part of, even when no one wants him around. Then, we have Jack’s first Christmas in the White House. The impact of his job and the coalition he’s trying to form. And lastly, we see how those two stories intertwined with Ethan’s and Jack’s romance. Plus, how they deal with their long distance relationship. More than a novella, this is a full length story. Just like the previous books in this series, the author gives the reader every detail necessary to experience this holiday short as much. We get a lot of characters back, and how they related to book one and book two. And we see important friendships starting to form for Ethan and Jack. The way both main characters are treated by those they work with is similar even when they are in two different places and have two different job descriptions. How they managed to deal with this, plays an important part in the story. The book is as much about self-discovery as solving Ethan’s case, and Jack’s political issues. As bonus, we get to see Sergey in all his glory. If you haven’t read Enemy of my Enemy, yet, I’d recommend you read this novella first. Not because it would make a difference in your enjoyment, but it would help you follow the timeline when the book mentions events from when Ethan was in Iowa. As always, my only complaint is the amount of details and additional information we get with each book, but that’s just me. And the best part, everything is wrapped on Christmas spirit. At first glance, the cover by Natasha Snow seems gloomy. But, it fits the longing atmosphere of the story and the roughness of Ethan’s and Jack’s separation. 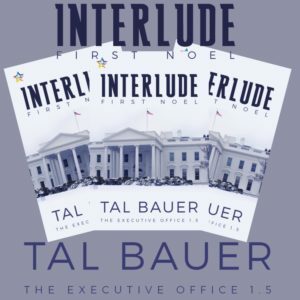 This entry was posted in Book Reviews, Books, Contemporary fiction, eBooks, LGBTQ Book Reviews, M/M Book Reviews, M/M Contemporary Fiction, M/M Fiction, m/m holiday stories, M/M Romance and tagged A Lila Highly Recommended Story, A Lila Review: Interlude: First Noel (The Executive Office #1.5) by Tal Bauer, author Tal Bauer, Interlude: First Noel (The Executive Office #1.5) by Tal Bauer, NineStar Press, The Executive Office series by Tal Bauer. Jack and Ethan share their first Christmas together. Step back to Jack and Ethan’s first Christmas season and the tentative early months of their relationship under the world’s spotlight. Three months into Ethan’s transfer-in-exile in Des Moines, Iowa, the pressures of dating Jack, the president of the United States, start to wear Ethan down. His weeks are measured by the days he works in Iowa, chasing counterfeiters and financial crimes, and the weekends he manages to steal with Jack back in DC. The media stalks his every move, he’s isolated by his coworkers, and loneliness hammers at his heart. “Twenty-seven credit cards, thirty thousand in hundreds—all with the exact same serial number—a credit card reader and a laptop.” United States Secret Service Special Agent Blake Becker whistled, shaking his head, and glared at the two suspects in handcuffs sitting in the back of the Des Moines police cruiser. “We bagged another couple counterfeiters, huh?” He squinted at Ethan, snowflakes clinging to the ends of his eyelashes. Becker was twelve years younger than Ethan, and two years out of the training center at Rowley. He was an infant, compared to Ethan. Ethan said nothing. Becker’s use of “we” was disingenuous. Ethan had put together the case after pulling files from three different states. He’d worked long, lonely hours in his cubicle, reading arrest records and statements until his eyeballs felt like they were bleeding. He’d tracked the washed bills, the counterfeit currency used in stores and banks across Iowa, Nebraska, and South Dakota. Built a timeline along one wall of his cube, tracking the rise of counterfeit bills in the tristate area. Connected the dots, leading them to bust this run down motel room and this raggedy team of counterfeiters. And, when he’d presented his case to Shepherd, the Special Agent in Charge of the small Des Moines field office, Shepherd had assigned Blake Becker as the lead agent, over Ethan. Days later, after Becker filed the affidavit under his name, he and Ethan, along with the Des Moines police, broke down the door of the motel room their suspects were living in and arrested two men in their boxers and stained tank tops. One of the men had a mullet. The other had a greasy mustache and not much hair on the top of his head. Two white news vans sloshed through the motel’s parking lot. Muddy snowmelt splattered the sides of the vans, arching away from salt-crusted tires. On top of both, satellite dishes and transmission poles collected fat snowflakes beneath the dreary sky. Red and blue police lights swirled, giving a splash of color to the monotonous Midwestern gloom. Nodding once, Ethan kept his head down and headed for his Secret Service car, a nondescript sedan issued to him by the Des Moines office. He tucked his face into his scarf and his hands in the pockets of his trench coat, not looking toward the news vans. He slid into his car, slamming the door shut. Leaning back, he exhaled, watching for a moment as the news crews set up around the motel parking lot, peering at the Special Agents and police processing the scene. Ethan grabbed a pair of sunglasses and a ball cap from the passenger seat before he started his car. The sunglasses turned the drab gray sky almost black, but he kept them on as he backed up, maneuvering out of the crowd of police vehicles. One of the reporters spotted his car leaving. She waved to her cameraman and jogged across the snowmelt, her brown boots sticky with slush. He tried to speed up, but she made it to his driver’s side as he waited to turn onto the street. His jaw clenched, and his fingers gripped the steering wheel. A few more seconds, a few passing cars, and he could peel out of there. Finally, a break in the traffic. Ethan wanted to slam down on the accelerator, spin his wheels and spray the reporter with mud and snow. But he couldn’t. Everything―every single thing―he did was a reflection on Jack. A reflection on the president of the United States. He revved his engine once, a warning, and then rolled forward. The camera squealed across his window, and the reporter pounded on the glass, repeating her questions, almost shouting. And then, he was out of the parking lot, back on the main road. He floored it, speeding off as the news camera tracked him. A few blocks away, he ditched the sunglasses, throwing them into the passenger seat with a snarl. Three months in exile. Three months of living in Des Moines, Iowa—away from Washington DC, his friends, and the love of his life: Jack Spiers, the president of the United States. His head hit the sedan’s headrest again, and his fingers kneaded the steering wheel. Three months of counting the days―and sometimes the hours―until he could see Jack again. He lived for Friday evening through Sunday night, when he flew to DC, and the forty-eight hours at least, it was just him and Jack. If he squinted while he was there, it was almost like it had been before everything came out, when they were hiding what they’d become together, and when Ethan had been his Secret Service lead. Day in and day out, they’d been at each other’s side. Inseparable…and sharing a scandalous secret. But every weekend ended, and Sunday night came, and with it, another flight back to Des Moines. Ethan glared at the clock in his dash. It was too early to go back to his apartment and do anything but bang around the empty walls and sulk, and too late to go back to work and expect to get anything done. Still, he turned for the office, heading back downtown. At the least, he could work out in the private gym for the agents assigned to the Federal Building. FBI, DEA, ATF, Secret Service, and Customs all shared one building. And all the agents seemed to share the same wide-eyed, horrified distance from Ethan. He moved like a pariah, as though he’d been branded with a scarlet letter and anyone who came near him would suffer the same catastrophic fall from grace he had. From the most prestigious posting in the Secret Service―protecting the president of the United States―to puzzling through counterfeiting investigations out of a tiny field office in the Midwest. And giving those investigations up to another agent, a junior agent, and running from the media. He waited at the stoplight downtown, just before the turn into the Federal Building’s garage, listening to his wipers scrape snow off the window. The red traffic light blurred through the slush on his glass, tinting the inside of his sedan a dark crimson. Christmas lights stretched overhead, arching over the streets and between the buildings. Evergreen garlands clung to the streetlights, and LED wreaths hung at every intersection. Over the weekend, Christmas had descended, just days after Thanksgiving. If he knew then what he knew now, would he do it all again? Make the same choices? Take the same risks? Kiss Jack―the president, his sworn duty, his job―and throw caution to the wind, going against his very bones, his dedication to his career and the Secret Service? The wipers slid against the glass again, squeaking, and the light turned green. His tires slipped on the snow, skidding out briefly, but he slogged across the intersection and turned into the underground parking garage. Of course he would. Those forty-eight hours each week with Jack made everything else worth it. Made bearable the isolation, the intrusive media, the sidelong glares and bitten off conversations that abruptly stopped in his presence. How his toes would curl as they kissed. Jack’s smile, and the way his eyes lit up for Ethan alone. How Jack had looked at him when he burst into the Oval Office, gunfire cracking the air, taking out Jeff Gottschalk and Black Fox’s operatives. Like Ethan was his whole world, the sun rising in the sky just for him. Ethan had never loved anyone like he loved Jack. And he’d never been loved by anyone the way Jack loved him. It was still new, just six months old, but that love had remade Ethan’s entire world. So far, he’d put up with anything. Everything. As long as Jack kept looking at him like that. Kept loving him like that. But, it had been over two weeks since he’d last been with Jack. ‘Every weekend’ had turned into something else. Loneliness scratched at the base of his heart, and whispers of fear snaked down his bones. Ethan wound through the underground garage and pulled into his assigned space, in the corner beneath the leaking air compressor and next to the dumpster that always smelled like stale piss. Shepherd’s car was still in his space. Great. He’d probably already seen the news footage of him, playing over and over on the local stations before being picked up by the national news for prime-time replay. He’d be pissed. More than pissed. Sighing, Ethan badged into the building and onto the elevator, punching the button for the Secret Service’s floor. When the elevator spat him out, he gave Agent Gibson a tight smile as he passed him. Ethan badged into the backdoor of the office, heading for his cube and his gym bag. On the way, he passed Shepherd’s open office door. The TV hanging on the wall in his office was on, images of Ethan driving out of the motel parking lot playing on repeat as the news anchor droned on about how evasive he’d been, how he hadn’t answered any questions. About what his presence at the crime scene might mean. And, of course, wondering why he hadn’t been seen with the president, or in DC, in weeks. They were America’s most scandalous couple, perhaps the world’s. The question had been blaring from every radio, every gossip magazine, every late night talk show host, almost from the moment they’d been photographed kissing on the North Lawn. Were they still together? Of course, the questions had gotten louder these past few weeks. Shepherd’s glare fixed on Ethan. Shepherd pursed his lips as he perched on the edge of his desk, arms crossed over his slight pudge, a beer gut in the making. His tie was undone, the first few buttons loose. Shepherd arched his eyebrows and grunted. “I submitted my vacation request for the holidays, but you haven’t approved it yet. Is there a problem?” Ethan had lost vacation time in his demotion, and had used up what he did have flying back and forth to DC. He was scrapping the last days he had to put together a trip back east over Christmas. It wasn’t as long as he wanted, but it was what he had. “I am still an agent―” Ethan seethed. Ethan’s jaw snapped shut, his teeth clicking together. His hand clenched around the strap of his duffel, and his teeth ground together, but he strode out of Shepherd’s office with his chin held high. Rage roared through him, deep in his veins. There had better not be anyone in the gym downstairs. He had to get this out, pound it out into a punching bag until his knuckles split and he vomited in the corner. He had to get this out, because in three hours, Jack was going to call him on his computer, and he couldn’t face Jack like this. Not about to fly apart, quaking with too much fury and raw shame. It hurt, God, it hurt. But Jack couldn’t see that. He couldn’t ever see it. 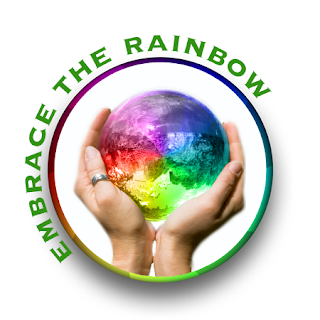 Tal Bauer writes LGBT fiction and romance, bringing together a career in law enforcement, trauma medicine, and international humanitarian and disaster relief work to create dynamic, strong characters, intriguing plots, and unique, exotic locations. Tal’s stories weave together pulse-pounding adventure, cunning intrigue, and sweeping romance. 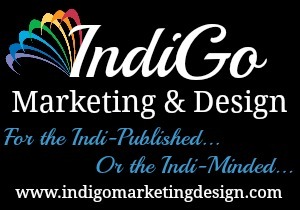 Tal is a member of the Romance Writers of America and the Mystery Writers of America. 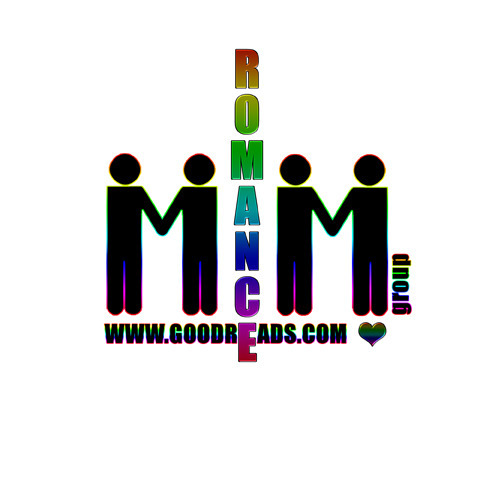 This entry was posted in Book Giveaways, Book Reviews, Book Tours and Contests, Books, Contemporary fiction, eBooks, LGBTQ Book Reviews, M/M Book Reviews, M/M Contemporary Fiction, M/M Fiction, m/m holiday stories, M/M Romance, Uncategorized and tagged a M/M Holiday Romance, author Tal Bauer, IndiGo Marketing & Design, Interlude: First Noel (The Executive Office #1.5) by Tal Bauer, NineStar Press, The Executive Office series by Tal Bauer.